Why wear yourself out setting up a tent or hauling your RV? 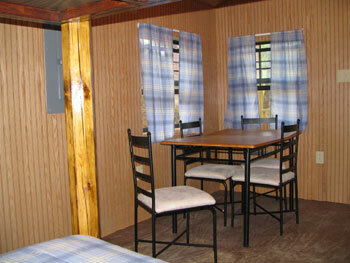 If walls are more your style check out our cabin rentals! They don’t have plumbing but they do have clean sheets. 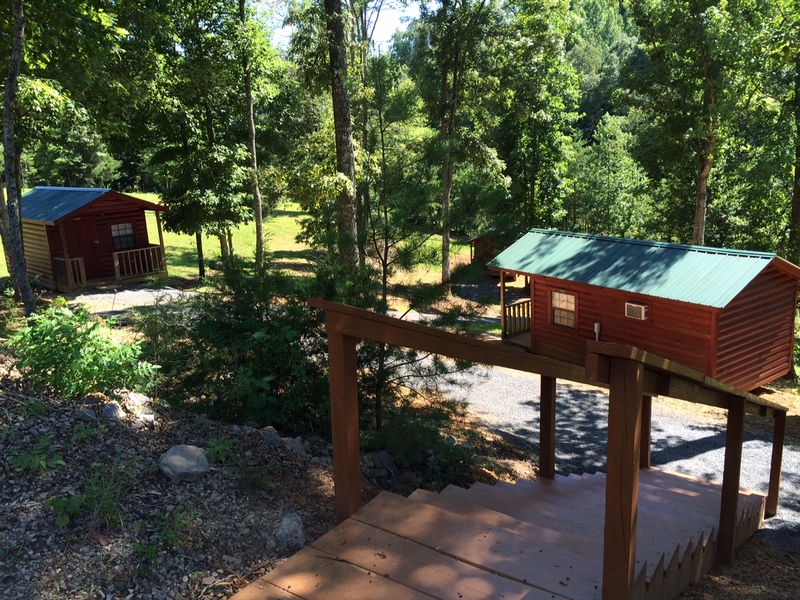 Our cabins are spread out all over the hillside and not right on top of one another. 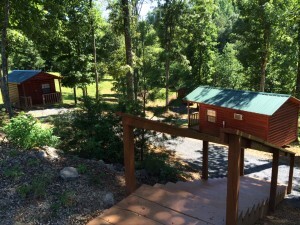 The cabins are located in the center of our activities. 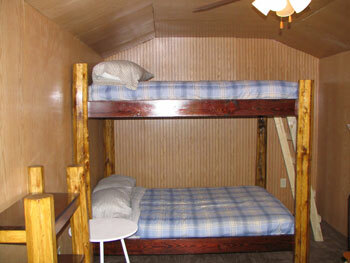 The cabins have Queen size bunk beds in them, perfect for 4 adults or families with children. They are fully furnished with mini-fridge, microwave ovens, and have both Heat and A/C. All you need to bring is you personal items!!! Teepee Rentals – We no longer rent Teepee’s. $50 up to 4 people.